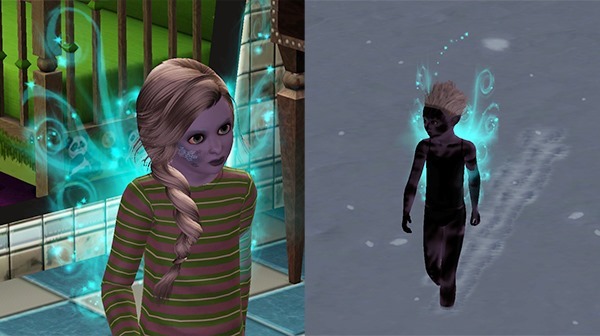 Many strange things have happened at the Smith household over the years, but few have been as terrifying as Elizabeth’s abduction by strange creatures from another world. Her children coped with Elizabeth’s sudden disappearance in different ways. Megan decided to change her wardrobe. Miranda sought solace in the company of her special toy. Of course, the aliens returned Elizabeth safely home a few hours later, relatively unscathed, though she was forever changed by the experience. Soren, already an accomplished martial artist, spent his nights further honing his skills, bolstered by his vampiric strength. Miranda went out one night, looking for gems, when the weather turned cold, and the poor girl returned home frostbitten! The first image of the new LEGO minifig set, due out in October, has cropped up on various sites. Naturally, I thought I’d add my two cents. The price listed on Brickipedia is $3.99, which could mean a price increase here in South Africa too, but I suppose we’ll have to wait and see what the actual price is when the set is released. The minifigures that really caught my eye here include the pig suit guy, the wizard, the princess, the jester, ‘Athena’ and the female genie. This is one I’m really looking forward to now! In case you were wondering why this set is series 12 and not 14 (as I was), it seems that the Lego Movie and Simpsons sets didn’t have numbers at all, so this set follows on from series 11 which was released last year. Last weekend at Icon I ended up buying a new Lego set from Blox Universe, Lego Minecraft: The Village. 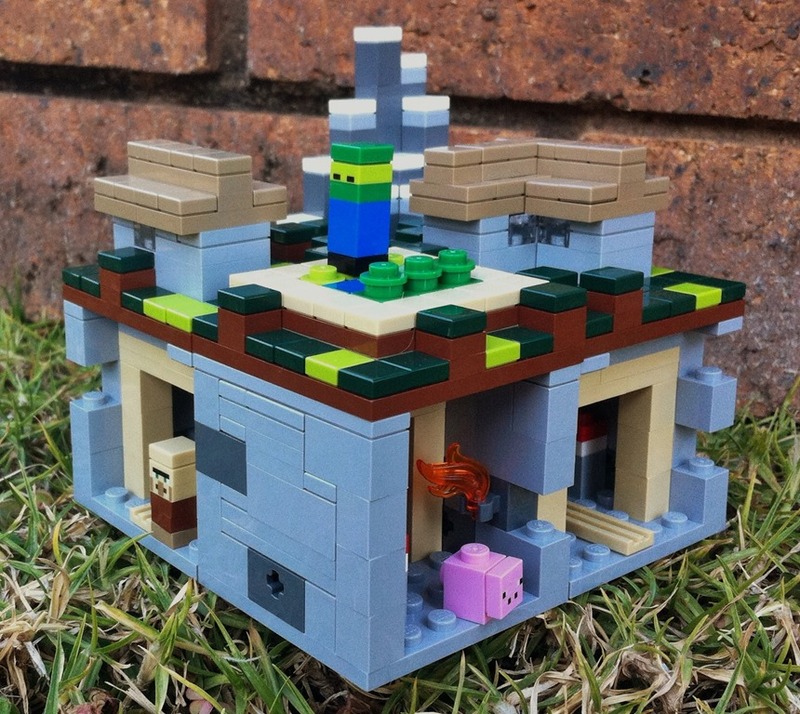 It’s one of four Lego Minecraft sets currently available. They’re all smallish sets, around 450+ pieces (this one has 466 pieces) and costing about R450. 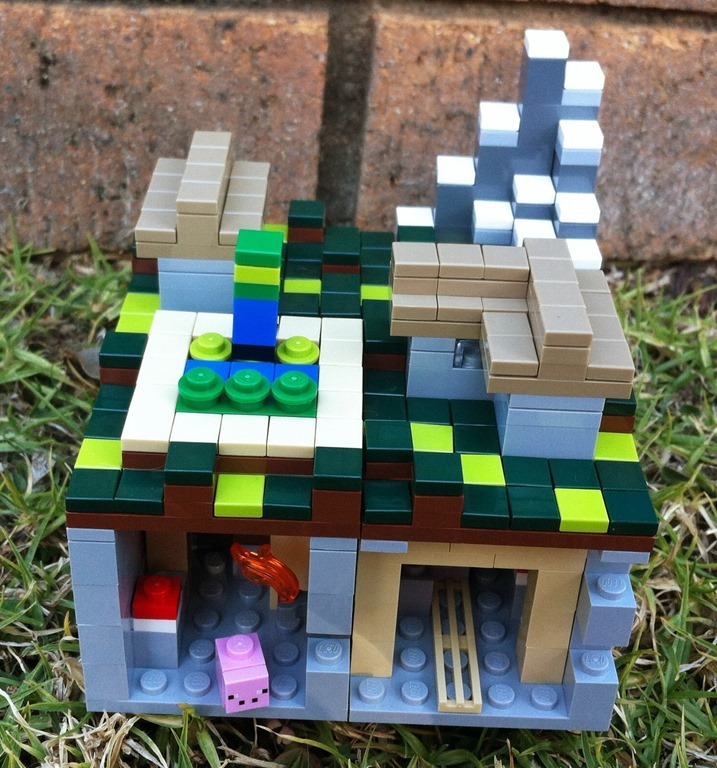 This set is built up from four smaller modules of the ‘village’, as you can see in the photo below. Each module connects to the others via the little black sticky bits that you can see in the bottom right of the image below. The set also comes with three ‘minifigures’, which are really just a few small blocks stacked on top of each other, but again, it works well to reproduce the ‘people’ seen in the game. I must admit, it was the little pig that convinced me to choose this set over the other three available. Despite being a little fiddly to put together, I love the final look of the set, as well as the fact that I don’t need a huge amount of space to display it. Plus, it actually fits back into its square box once you’ve built it. 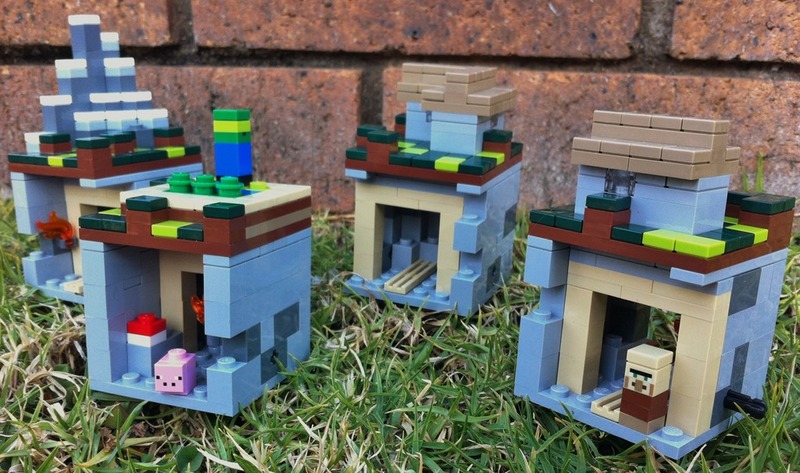 If you’re a Minecraft and a Lego fan, you will want to check these sets out. There are also several more sets in the pipeline, due out later in the year. 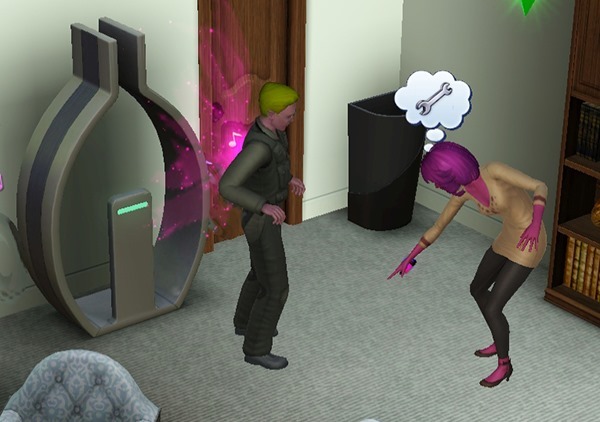 Soren and Alexandra decided it was time they had an adventure vacation of their own, and they headed off for Champs Le Sims. 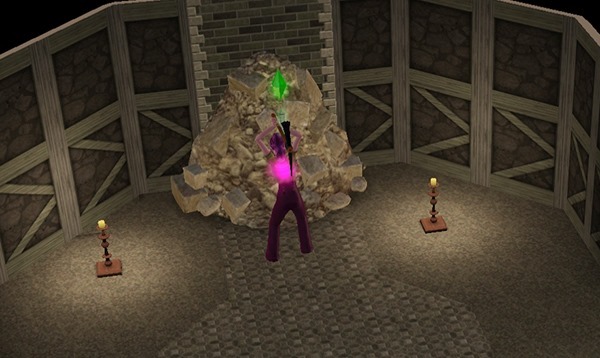 Alexandra took on a quest to uncover an ancient treasure. She also picked some of the local fruits and vegetables, local recipe books, and a nectar making machine. 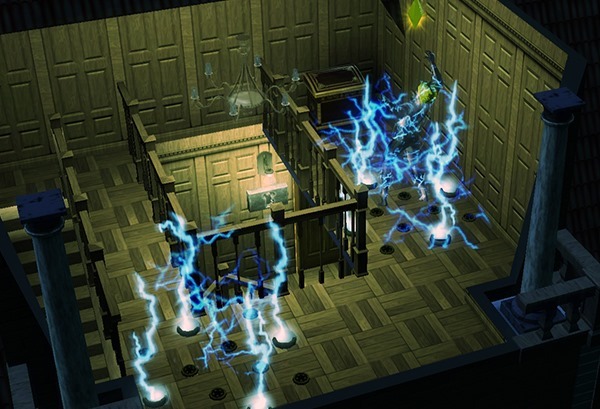 Soren had a bit of a tougher time as he explored the Landgraab mansion. There were a large number of booby traps waiting for him, and he nearly died of electrocution several times. He decided that perhaps adventuring was not for him. A peaceful sleep on his bed at home was much more rewarding. The girls were growing up so fast. Megan’s birthday passed with little fanfare, but Miranda seemed to have trouble letting go of her childhood. Despite the cake Elizabeth bought her, and the party the family threw, she refused to grow up. With most of her garden moved into the greenhouse, Magenta installed a new device into what she called the ‘skills room’. With this device, she could eat, shower, dress and teleport to work in just a few minutes. She was really enjoying her life as a wealthy surgeon. Alexandra was still determined to become one of the most renowned celebrities in Dragon Valley, so she decided to visit the trendy new club that had opened up in town. 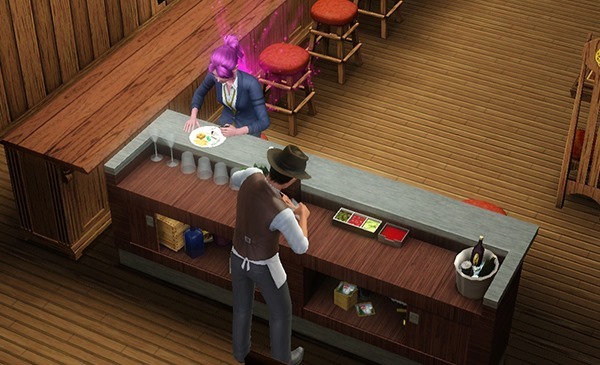 Unfortunately, it seemed like she was the only sim who knew about the place. Soren had had a casual conversation with his sister about the many disastrous dates he’d been on with Jennifer Pleasant. He’d mentioned how Jennifer was a vampire and how cool he thought vampires were. Before he knew it, Elizabeth had managed to find a special potion, which turned Soren into a vampire! 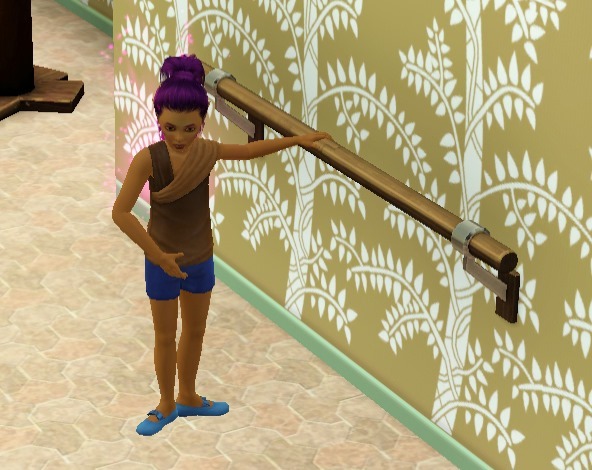 Little Megan began honing her dance skills at an early age. Over a hundred days after Magenta had begun her adventures in Dragon Valley, she grew up into a responsible adult. However, it seemed she STILL wasn’t ready to grow up yet, as she had a mid-life crisis almost immediately! 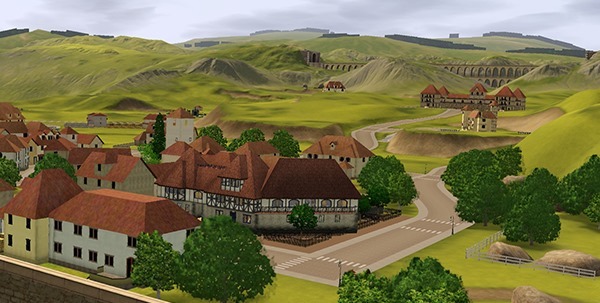 At last, the fabled Sims 4 gameplay video has arrived! It’s rather long, but it shows two of the developers actually playing the game. I think the thing that stands out for me is (what looks like) a simple, streamlined, quick build mode. I really like the look of it. I just hope my computer will run the game as smoothly! There’s also been mention on other sites about some sort of ‘premium’ access, though it’s mostly speculation at this stage. Hopefully EA will release some details on this at some point. After their encounter with the golem and the strange fiery monster, the heroes paused to recover their wounds. 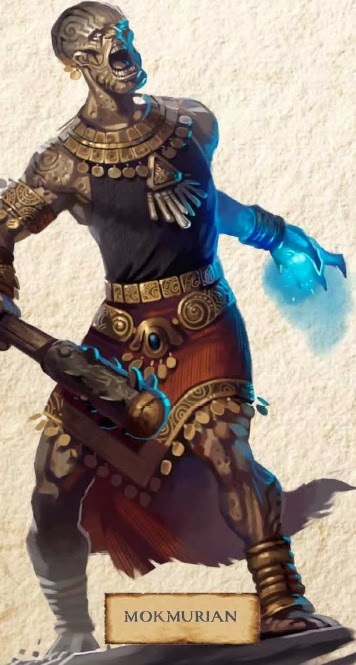 It was during this time that another creature appeared in the dungeon, a blue-haired gnome who the other heroes recognised as Igg, the amnesiac druid they had previously encountered in Magnimar. He wasn’t entirely sure what he was doing in Jorgenfist all of a sudden, but he decided to join the party. Our heroes proceeded cautiously through the lower levels of Jorgenfist. Cecil went ahead, exploring each room before indicating it was safe for the rest of the party to proceed. He discovered a strangely cold room filled with eerie frozen giants wearing impressive armour. Despite his fears, the giants did not spring to life and attack him. Next came a deserted lair of some unknown creature… perhaps the forgefiend that was still at large? Finally our heroes reached a long corridor covered in Thassilonian runes. There was a door bearing the Sihedron rune at one end, and another door at the opposite end. Ciaran determined that the door bearing the seven-pointed star was warded with some powerful magic, so the party decided to try the other door first. After passing through a bizarre room that featured no sharp corners, the heroes entered a massive pillared chamber where Mokmurian was casually waiting for them. When his first attack was a boulder thrown at Cecil, some of the heroes became a bit suspicious, but the arrival of three otherworldly hounds of Tindalos and an invisible mage quickly distracted them. Nu moved forward to take on Mokmurian up close, while the others tried to dispatch the creepy hounds, who proved to be incredibly hardy. They kept the heroes busy while Nu distracted Mokmurian. It was only when Mokmurian dealt Nu a fatal blow with his pick that the illusion was revealed: Galenmir, the stone giant who had killed Cecil, was simply disguised as Mokmurian. Cecil was filled with rage and terror as he recognised his enemy, but it still took all his power and numerous spells from Ciaran to finish the powerful giant off. The giant died laughing, even as Ciaran’s fireball charred Nu’s remains beyond hope of revival. Meanwhile, the hidden mage continued to wreak havoc on the group until Ciaran used his powers to see invisible creatures. 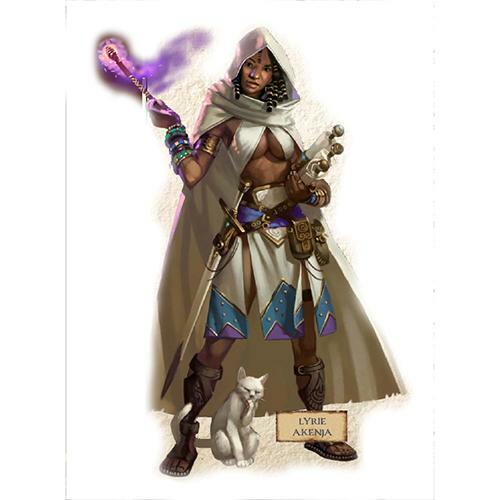 He was surprised to recognise her as none other than Lyrie Akenja, the wizard they had allowed to walk free back in Thistletop. She looked rather different now, with demonic eyes and horrible scars on her flesh. She had also become much more powerful, but she was no match for the combined power of the group. The final hound fled, leaving the heroes to recover Nu’s charred remains and see if Mokmurian had left any clues behind. 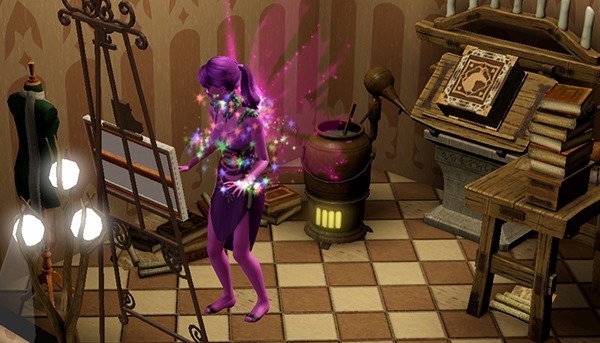 Ciaran turned up several spellbooks and what seemed to be Mokmurian’s diary. It was at this point that Igg remembered why he had come to the dungeon. He had found himself in the shadow realm after his time in Magnimar, and a powerful mage named Akorian had met him there. 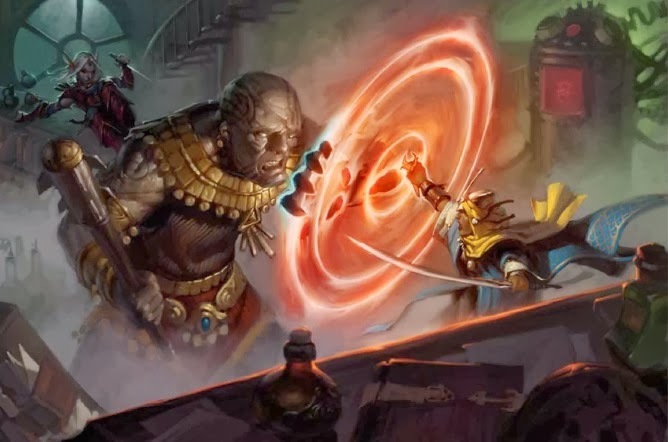 Akorian could not leave the shadow realm himself, but he knew that if Mokmurian was able to complete his invasion of Varisia, it would spell certain doom for Varisia and the rest of Golarion. He wanted the heroes to meet another of his agents Alamander at the Storval Stairs and find a way to stop Mokmurian.